International charity, Kashif Siddiqi Foundation (KSF), is proud to announce the launch of Altus Football in Birmingham following a smaller successful pilot campaign which took place in Bradford and East London at the beginning of 2018. Due to popularity, the initiative is returning to both locations and now expanding to Birmingham and Derby in 2019 with the goal of increasing participation in sports amongst local communities. The eight-week project for young budding footballers combines weekly training sessions with coach-player mentoring, promoting teamwork, discipline and leadership, to empower young men with valuable life skills. More broadly, the initiative seeks to tackle the cultural divides and barriers which prevent many unrepresented communities from getting involved in sport and bring the diverse diasporas in Birmingham together. 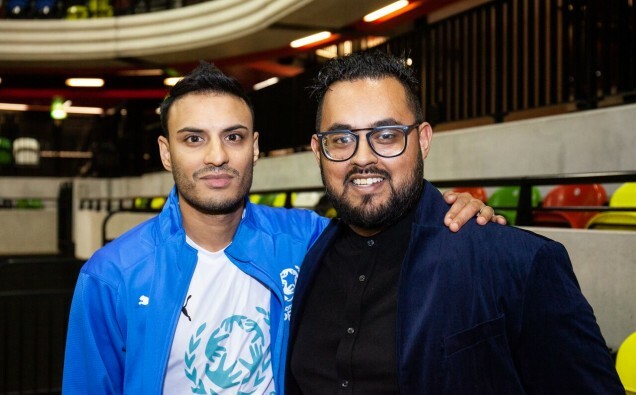 The second season of Altus Football will be led by professional footballer, Kashif Siddiqi, in collaboration with Obayed Hussain, an Imam and founder of the Saltley Stallions Football Club, who was brought on to coach the Birmingham team. The weekly training sessions kicked off at the beginning of February and will run into March before culminating in the final at St. Georges Park the home of the England national team at the end of the month. Kashif Siddiqi is one of only eleven British South Asians to have made it in the professional ranks in the UK, having previously played with Northampton Town and Arsenal. He hopes that by harnessing his own experiences and utilising the expertise of coaches and ambassadors of the campaign, he can make a difference in the lives of young men across the UK and build healthier communities. “I am really excited to be joining forces with Obayed. His work in the Birmingham community has been inspirational and we hope to help continue that in bringing Altus Football to the area. For further information, visit www.altusfootball.com.